Habits are created by neural connections. So when you want to overcome a old habit, you cannot wish it away. You have to re-program your brain and by pass the old neural connection. There could be three triggers for a habit : Time, space or matter/context. Habit 1: Having fried snacks in the evening. Reason 2: Boredom. Trying to get the sleep out of eyes. Reward 2: Getting out of the bed. The above examples had the context, space and time triggers respectively. 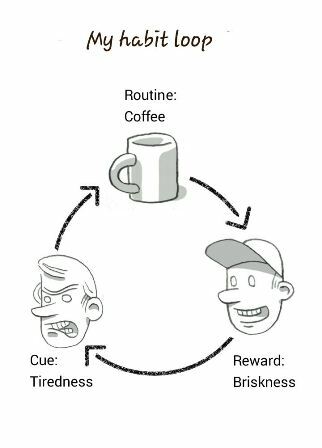 In a habit construct, it becomes difficult to impossible to find out the reason or even reward associated with a habit. So to engineer the habit change, you need to experiment with changing one thing in the sequence to see if the change gives the same reward as the original habit without the negative consequence. Lets go back to the evening fried snacks habit and see what alternatives I could try to understand the reason and reward in the loop. Is it to hangout with friends in the evening? No. I prefer finishing my break quickly and coming back to my desk. Is fried food craving caused by a deficiency of essential fatty acids? So does a snack of peanuts or avocado give the same fulfillment? Yes to an extent. With the few experiments above, I can conclude that I have a essential fatty acid craving together with craving to get away from work for while. So I can get off my desk, go out and have a peanut chat or a fried/boiled peanut snack from the vendor outside. Exercising – Regular exercise also makes one eat better, wake up early. Plan your day – Planning a day makes you more organised and as a result get more work don. Charles Duhigg, discusses in detail about the ‘Power of habits‘ in influencing us. 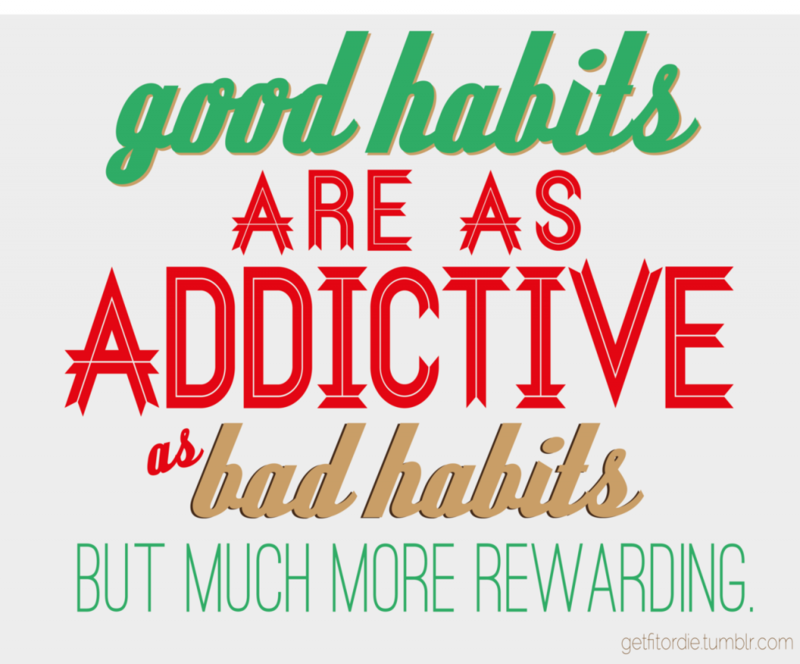 Habits can be your friend and help you achieve that goal easily rather than your enemy. If you are intrigued by this topic, you would find that book a fascinating read. If you are more specifically interested in the digital distractions, you may find ‘Hooked‘ by Nir Eyal of specific interest. Before you write a resolution and hope to follow it through sheer will power, follow the process above to understand the components of your habit – trigger, reason, reward and experiment to see how you can short circuit to the reward by changing the process or getting there. New year resolutions will probably turn out to be easier than you think if you follow the process. May 2019 be what you hope it to would be for you.